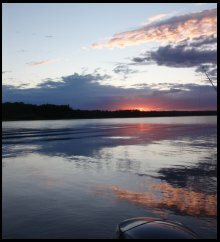 The fishing for walleye, Northern Pike, Small Mouth Bass and Musky is renowned on the English River System, but nowhere is it better than on Maynard Lake. 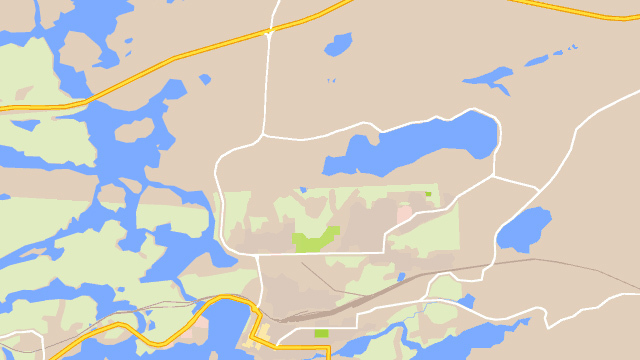 Most guests staying at Maynard Lake Outpost arrive in Kenora the day before their floatplane departure. You can arrive with your own vehicles or fly into either Winnipeg International airport or International Falls Airport and we can help to arrange transportation from there. We will also be happy to make hotel reservations for the night of your arrival. 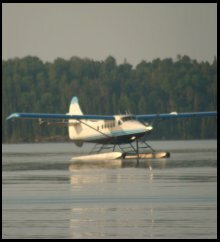 Our planes typically depart the float plane base in down town Kenora at 7:00 am and arrive at Maynard Lake at 7:30 am. We will be there to greet the plane and give an orientation of the cabin, equipment and the lake. Normal departure time is at 7:30 am of the day after your trip is over. An extra day is possible if arranged with Josh or Kayla at no additional charge. 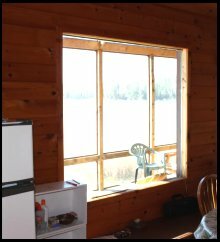 Our satellite cabin is located in the narrows between the river and the fingers part of Maynard Lake. It is situated on a beautiful beach that is always sheltered and is no more than a couple of minutes from excellent fishing. 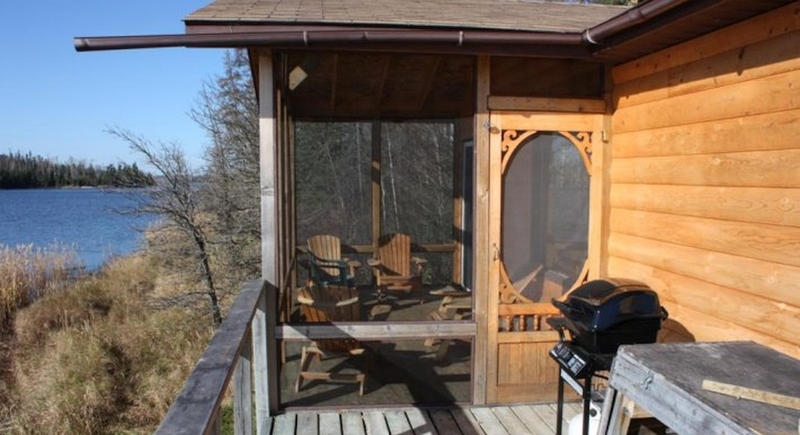 The cabin has a large kitchen, dining and living room with two bedrooms that will accommodate 2, 4,or 6 guests. 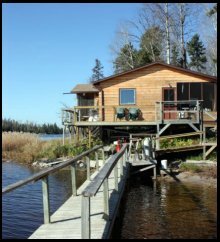 There is a large screened in deck overlooking the lake for dining or just enjoying the spectacular view and sunset without a single mosquito. 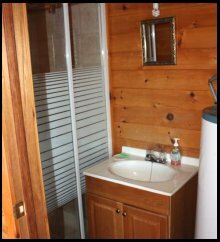 You will have hot and cold running water, a shower, as well as solar power and back up generator to run lights and equipment. The kitchen is fully outfitted with propane stove and oven, pots, pans, dishes, glasses, cups, utensils, coffee pot and filters, toaster and two propane fridges. On the attached deck there is a propane grill as well as a propane burner with pot and basket for frying fish or fries. For your fishing comfort we provide 16 foot boats with 30 hp four stroke Yamaha outboards. The boats are equipped with live wells, bait wells, bilge pumps, cushion back swivel seats, platform floors, landing nets, paddles, anchors, fish locators and personal floatation devices. The cabin is located about three miles east of the main lodge. The GPS coordinates are N 50 deg 21.264 min by W 93 deg 50.681 min. Guests wishing to fly in with their own aircraft should contact Josh for adjusted rates. Maynard Lake Outpost is a catch and release facility. You eat as much fish as you like, within the slot limit, while you stay with us, but take no limits home. 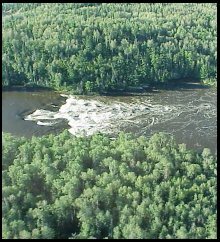 This management stategy has made for fantastic trophy fishing and will ensure large strong fish populations for years to come. Come, relax and enjoy a true wilderness experience. PER PERSON. ALL PRICES QUOTED IN AMERICAN FUNDS. TAXES NOT INCLUDED. Telephone service at Main Lodge for important calls. Wireless Internet at Main Lodge. Ice: $4.00/bag if extra is required. A unforgettable professional shorelunch prepared by Josh and his staff. You supply the fish and we will clean, cook, serve it to you along with choice of two salads, beans, home made tartar sauce, corn, an ice cold beverage of your choice and our famous Maynard Lake spuds cooked over the fire. Join us for breakfast or dinner at the lodge. Prior arrangements must be made with Josh. We know our dinner menu well in advance so you can choose you favorite. A deposit of $600 per person is required to confirm your reservation. We would be happy to credit 50 % of a forfeited deposit to a trip in the next year if notice of cancellation is received 60 days prior to arrival date. Final payment is due on completion of your trip by cash, travelers checks or personal check. Guests are responsible for any damage to equipment or facilities.